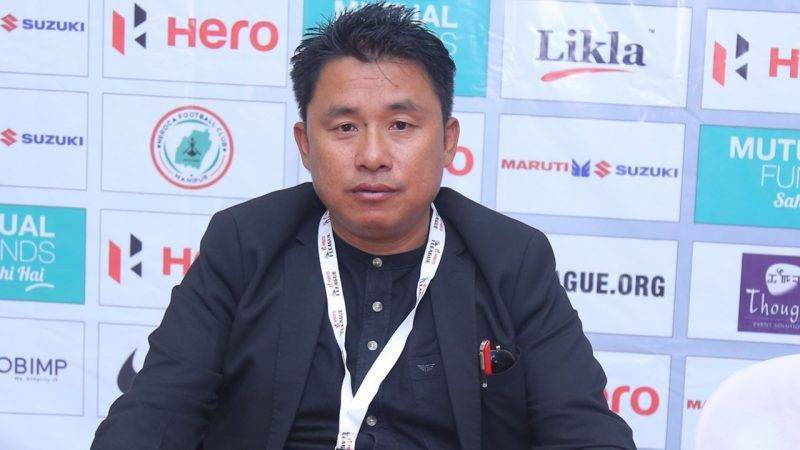 The former left-back who played for major clubs in the top division league like Churchill Brothers, HAL, Vasco and Pune FC, started his coaching career at the Pune FC academy and took his first job as a senior team head coach at his hometown club NEROCA at Imphal, Manipur. Under him, the club toiled away in the 2nd Division League, finally earning their promotion to the I-League in 2017. At NEROCA’s top division league debut in the 2017-18 season, the club surprised everybody by putting on a strong performance, being alive in the title race till the last day of the league, finishing second in the end. “It is a new club but we are from the same region and sharing a common ideology. My main aim is to take Aizawl to the next level. They were champions the previous season but last year there was a dip in performance. So my primary job is to make Aizawl title contenders once again. I am making no promises but I am sure it is possible with the hard work I put in,” says the newly appointed coach.